This is the ultimate book on International Harvester Farmall tractors, one of the most popular, revolutionary, and common of all tractors. 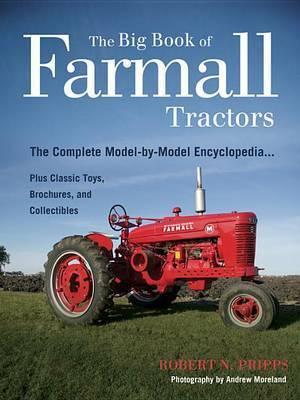 It is the first book to feature every Farmall model, chronicling the background of McCormick-Deering and International Harvester and outlining the beginnings of IH's production of the treasured Farmall tractor from its inception in 1923 until the last model rolled off the assembly line in the mid-1970s. This comprehensive volume also includes descriptions and hundreds of color photographs of all models, complete with performance comparisons. Robert Pripps has authored numerous farm tractor books, including Vintage Ford Tractors, Big Book of Caterpillar, Big Book of Massey, and more, all with Voyageur Press. Robert has a maple syrup farm near Park Falls, Wisconsin.Andrew Morland is a freelance photojournalist. He is the photographer of numerous Voyageur Press tractor books, including The Bigger Book of John Deere, Vintage Ford Tractors, and Classic Tractors of the World. He lives in Somerset, England.